In March 2017, Hoyle, Tanner received the Silver Winner award in the ACEC New Hampshire 2017 Engineering Excellence Awards. The award recognizes our engineering expertise on the Gardiner, Maine Combined Overflow Sewer project, wherein we collaborated with AECOM to complete the evaluation of CSO storage, retention and treatment alternatives, mechanical screening improvement alternatives, preliminary engineering and final design, permitting, environmental impact assessment and assisted with funding for the City of Gardiner. 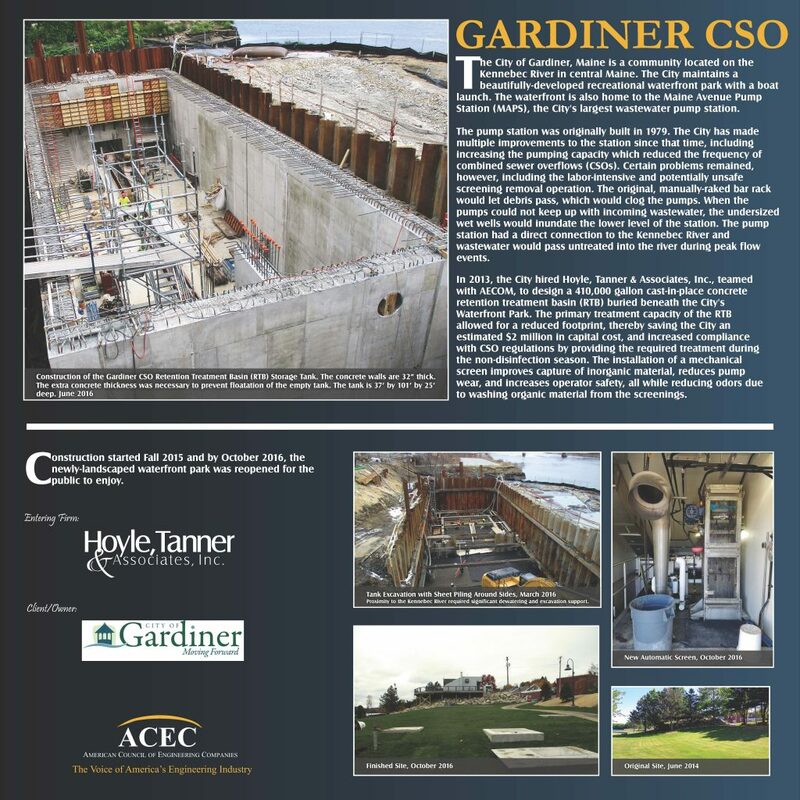 Hoyle, Tanner has been working on the Gardiner CSO project since its beginning phases. See our initial work with the Gardiner CSO project here!